Coach Gad offers a range of personal training and coaching services in Toronto and GTA. 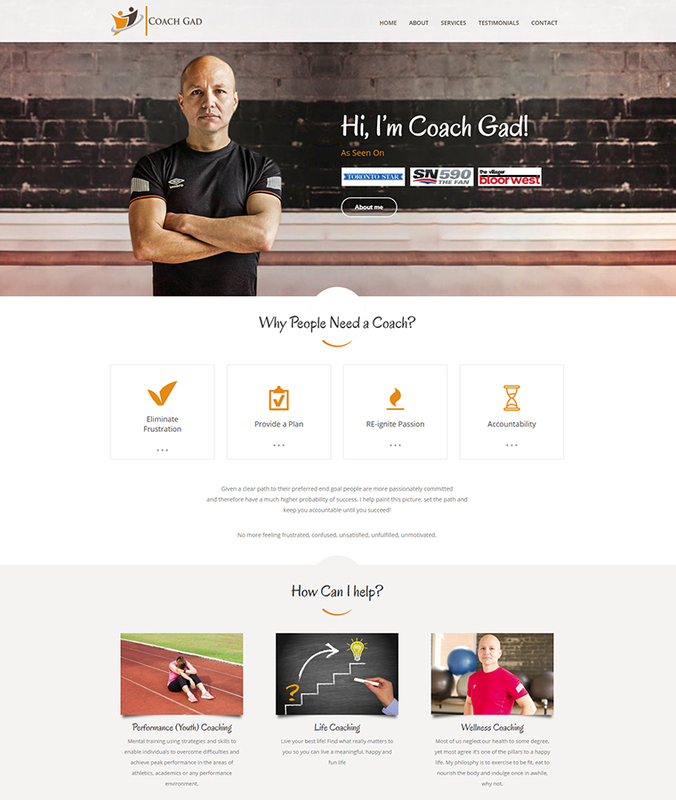 This WordPress web design is effective because it has a simple layout and quickly informs visitors about the services that Coach Gad offers. Connection is key with any personal development or coaching website! As soon as someone lands on your website’s home page they will want to see a picture of you! You will be the person responsible for helping that person grow and develop, and first impressions really do count. As a personal development coach your new website design should be friendly, open and welcoming. It should allow potential customers to read about your achievements with others and it should provide those potential customers with inspiration. People will need to feel confidence in you, and just as importantly trust you! Another great way to connect with people on your website is to use video. A simple welcome and introduction by you will be well worth the investment. Why not even think about including video testimonials in your website too?